Design your garden using the ancient art of feng shui for a tranquil place in nature that is inviting, relaxing and energizing. The use of the feng shui elements, the arrangement of color and the placement of each object or plant has an important role in the balance and harmony you want to create. Curvy areas and pathways, raised flowerbeds and various levels of rock all help the chi energy to flow through your garden. With chi flowing freely, your garden will be in tune with nature and provide you with the beneficial effects of positive chi energy. Another important aspect of creating a feng shui garden design is to follow the nine life areas of the bagua, which is your energy map. 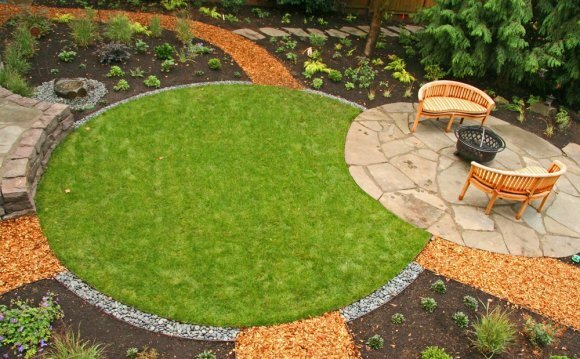 Divide your garden space into the sections of the bagua, also called pakua, and follow the same principles you would use if it were applying the principles to an indoor space. The Florida Gardener has an excellent bagua map that you can use for your garden site plan. Another excellent resource for planning your feng shui garden using your bagua map is the online feng shui magazine, WOFS, founded by Lillian Too. Feng shui gardens need to have the three feng shui key of mountains, greenery and water featured. Rocks and raised flowerbeds can symbolically represent mountains, while plants, shrubbery or trees provide the necessary greenery. A water feature can provide the water element such as a fountain, pond or birdbath. You may prefer to create a symbolic river of stones and rocks to represent water. The yang colors represent the elements of wood and fire. They provide motivation, enthusiasm and positive energy to get the job done.